Kris Lees said he will know how good recent recruit Tactical Advantage is after he races at Rosehill Gardens on Saturday. 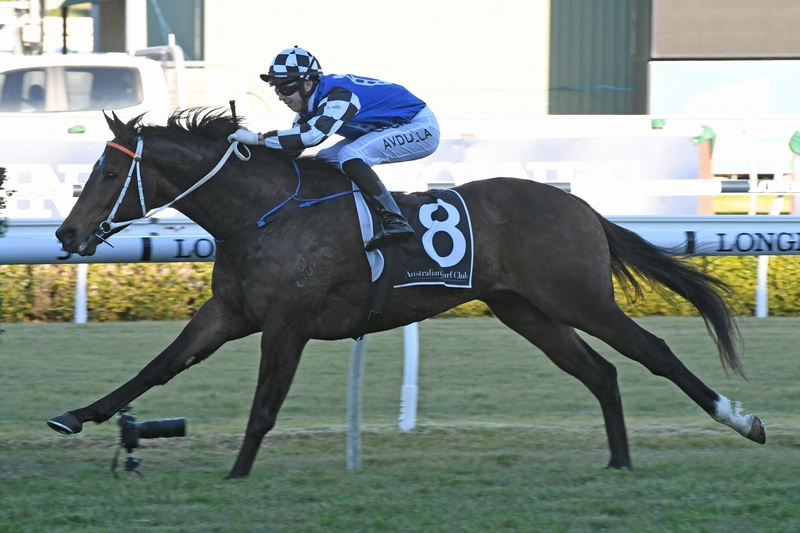 An impressive first-up winner in the July Sprint (1100m) at Royal Randwick three weeks ago at his debut for the stable, the five-year-old has to carry 61kg in the Campbelltown Catholic Club Handicap (1100m). The joint topweight with stablemate Dal Cielo, whom he beat comfortably last time, faces a hefty 7kg rise on his winning weight – a point Lees readily acknowledges. Lees also accepted with Tactical Advantage (59kg) at Doomben in Saturday’s Class 6 Plate (1200m), where he was installed a long odds-on favourite. Tactical Advantage will be ridden by Hugh Bowman, and Lees’s main provincial jockey Aaron Bullock again partners Dal Cielo, who meets his stablemate 2.5kg even though he rises from 56.5kg. A lightly-raced Bel Esprit five-year-old, Tactical Advantage is building an enviable record. He has won six of his 14 starts to date and has been placed on five occasions. He was purchased by Australian Bloodstock and syndicated amongst clients after finishing sixth to Egyptian Symbol in the Listed Starlight Stakes (1100m) on a heavy Rosehill surface on December 2. Tactical Advantage has raced four times at Rosehill for a win and two placings. As a three-year-old, he trounced Scarlet Rain and Spending To Win over the same 1100m on February 18 last year, with 56.5kg on soft ground. Whilst Dal Cielo meets his stablemate on better terms for a 2.3 lengths defeat at Randwick on July 21, Lees doubts he can turn the tables on his better-fancied rival. Lees also runs Prized Icon and Admiral Jello at Rosehill, and has removed blinkers from the former for his resumption in the Spring Preview Handicap (1400m). Like Tactical Advantage and Dal Cielo, Prized Icon also was given 61kg topweight, but Lees has taken advantage of Kiwi apprentice Sam Weatherley’s 2kg allowance to lessen his impost. “I put blinkers on Prized Icon when he ran in the Doncaster Mile in April (13th to Happy Clapper and then spelled) as he was coming back from the 2000m of the Ranvet Stakes a fortnight earlier,” he explained. Lees has taken a line through the dual Group 1 winner’s debut run for him in January to give him a solid first-up chance, even though he knows he will take improvement from this assignment. “He split Lanciato (subsequent Newcastle Newmarket winner) and Endless Drama (subsequent Group 2 Apollo Stakes winner) in the Carrington Stakes (1400m) at Rosehill at his first run for us,” he said. Prized Icon was placed twice in Group Ones (second to Winx in the 1600m Chipping Norton Stakes and third to Gailo Chop (Ranvet Stakes) in the autumn. Though yet to win first-up from five starts, he has been placed on three occasions. Blake Shinn rides Admiral Jello in the Premier’s Cup Prelude (1800m), and the gelding has to overcome the outside barrier (13) at his second run this campaign: “The draw doesn’t make it any easier, and I’m pretty sure he is going to need this run as he gets fitter heading toward a Newcastle Gold Cup (in which he ran third last year) in September,” Lees said.